The dolphins swam quite slow...at times, completely surrounding me. Circling and spiraling for over 2 & 1/2 hours. 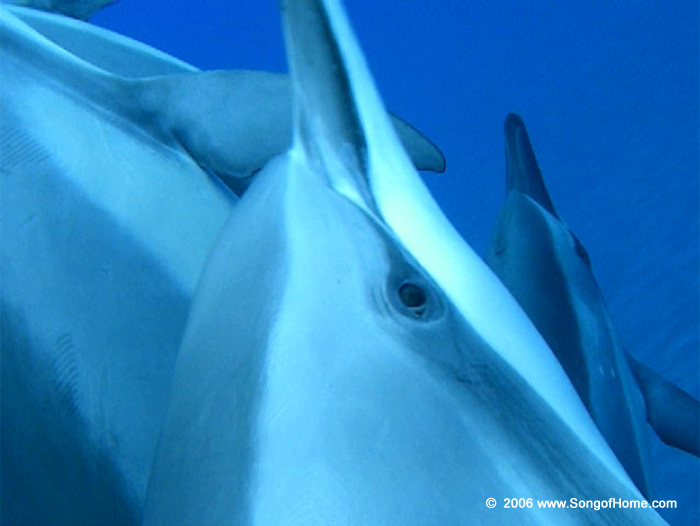 I am inspired by looking into the eye of a dolphin. May this here be a gift for you... They were often too close (on this day) to shoot video and still shots. This is one moment the "too-close" thing worked well.